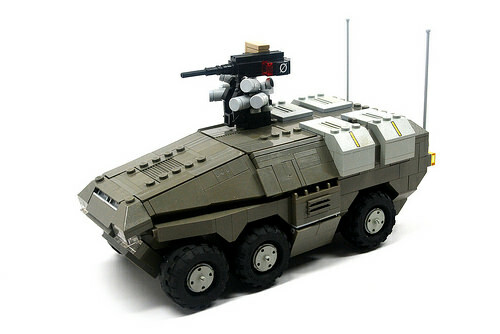 If you’re feeling the need for some chunky near-future military hardware, Carter Baldwin has you covered. 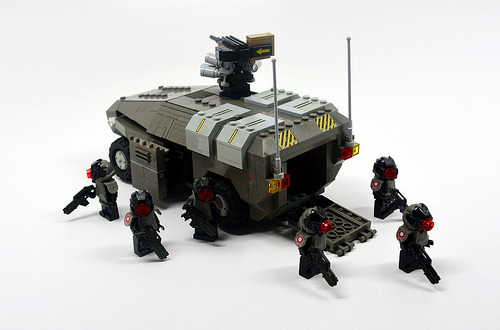 A delicious blend of dangerous angles, muddy colors, and isolated studs for texture give this Armored Personnel Carrier a real sense of grunt. I can just imagine this thing’s engine noise.